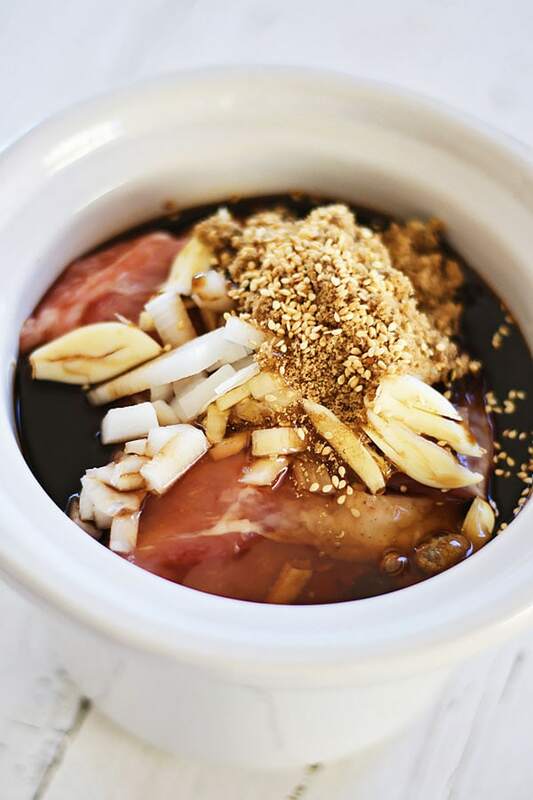 Crock Pot Honey Sesame Pulled Pork - the easiest and best pulled pork recipe made with a crock pot or slow cooker, in an amazing honey sesame sauce. 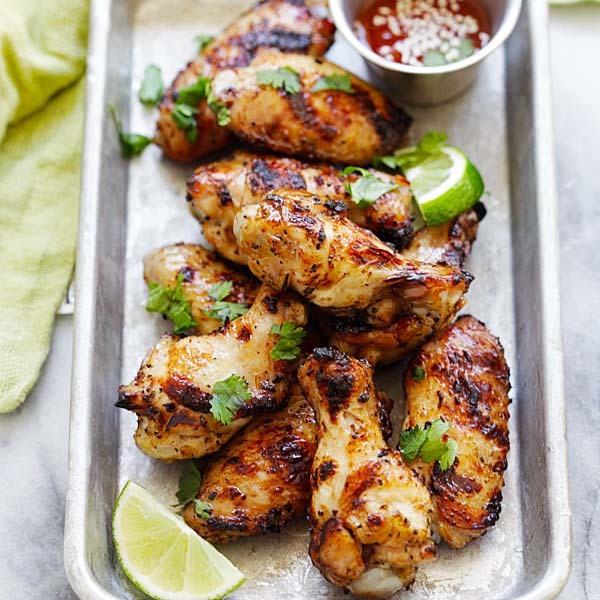 This recipe is contributed by Baked by Joanna. Crock pot recipes are quite simply the best. Preparing and cooking food with ease, a person has no excuse not to make home cooked meals when a crock pot is nearby. Today, we focus specifically on pulled pork with an Asian touch. 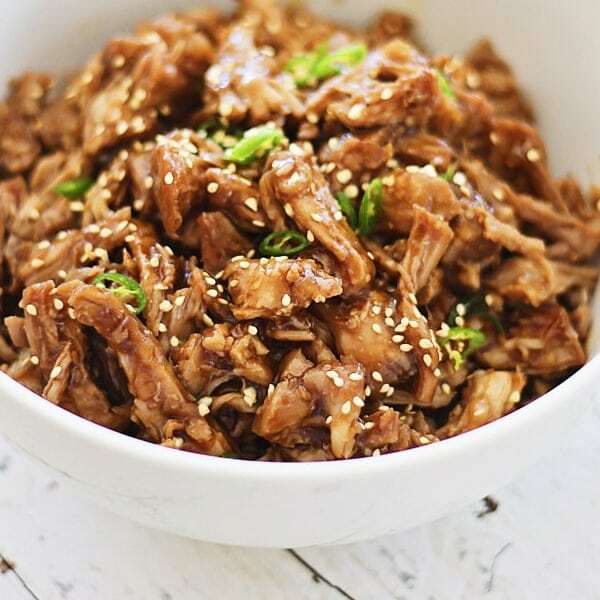 I created this honey sesame pulled pork recipe, so it can be made without much effort. Honey Sesame Pulled Pork is sweet and savory. 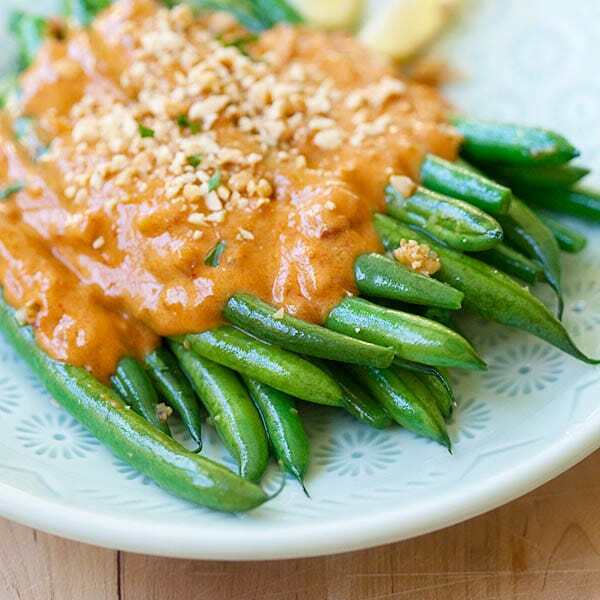 The brown sugar and honey is perfectly offset by the addition of delicious salty soy sauce. I use Maggi soy sauce because it is a bit more concentrated, which means I need to use less to achieve a deep soy sauce flavor. You can find a bottle of this sauce in the international food aisle and it will be labeled as Maggi Seasoning. I highly recommend it and admit it’s a staple in my kitchen. If you have another brand of soy sauce available, it’s likely that it is a touch diluted in comparison to this brand. Make sure to add a bit more soy sauce in this case, so your pulled pork is flavorful following hours of cooking. Either way, this pulled pork is fool proof and tastes wonderful against wholesome grains of jasmine rice. To prep, simply add all the ingredients in the recipe in your crock pot or slow cooker, and a few hours later, magic happens and dinner is ready for the entire family. Who knew that cooking (delicious and healthy food!) can be so easy and no fuss! 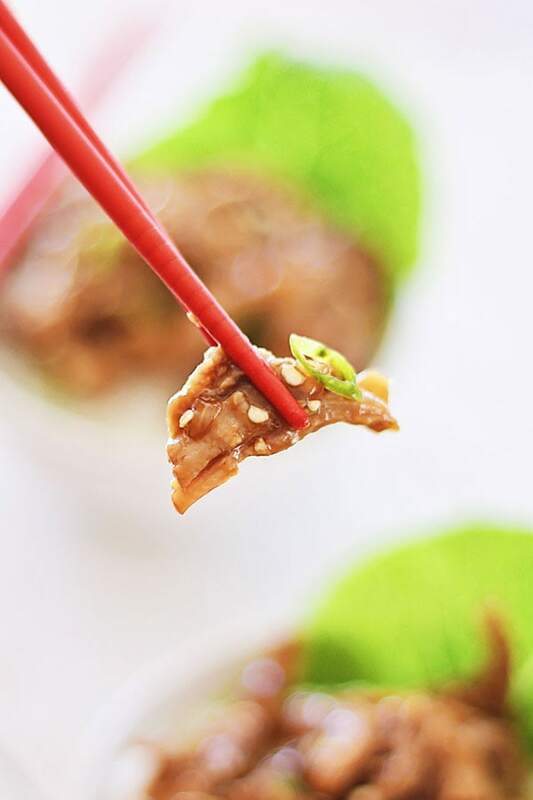 For other crock pot recipes, please also check out honey teriyaki chicken and Asian beef stew. 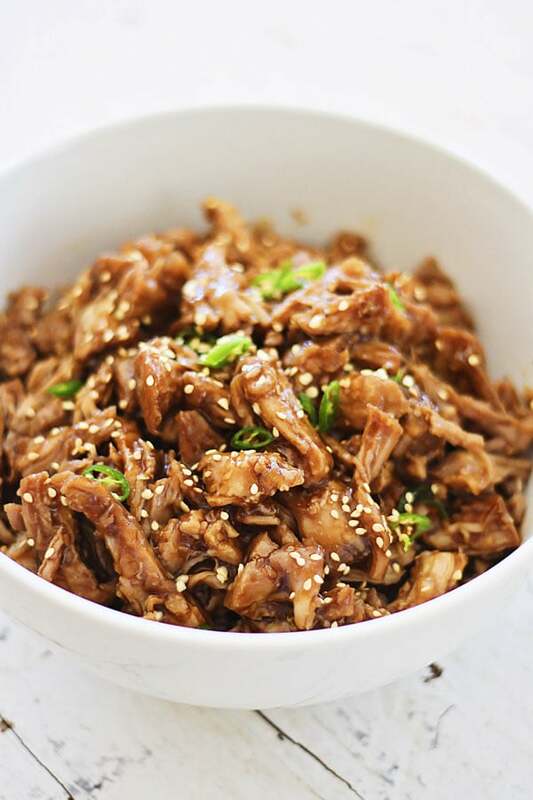 Crock Pot Honey Sesame Pulled Pork - the easiest and best pulled pork recipe made with a crock pot, in an amazing honey sesame sauce. 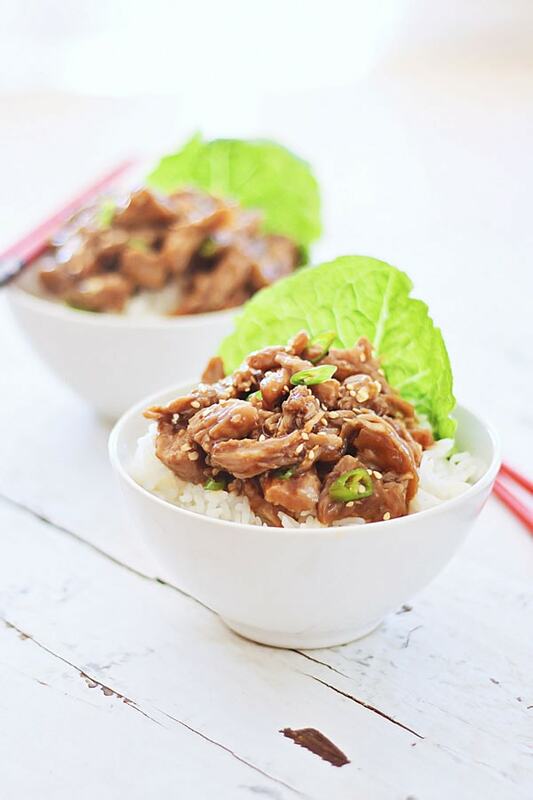 Serve the pork over steamed white rice. All photos and recipes on Rasa Malaysia are copyright protected. Please do not use the photos and recipes without prior written permission. 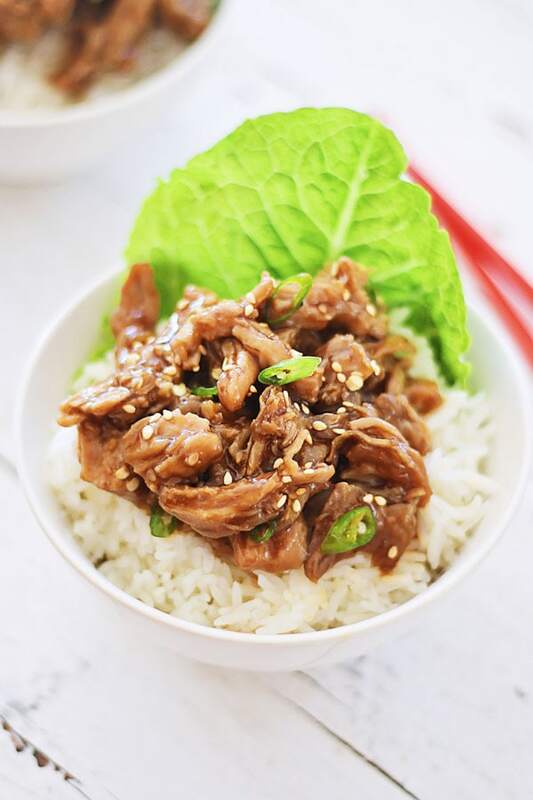 If you wish to republish this recipe, please rewrite the recipe in your own words instead of copy and paste and link back to //rasamalaysia.com/crock-pot-honey-sesame-pulled-pork/. Thank you very much! Do you happen to know if this Maggi sauce GMO free? Hi Marina, I am no sure…you can check the label. Sounds lovely. Thank you Bee. Hi Bee! What cut of pork do you recommend? Thanks! Thanks for the recipe. It looks so good. The dish looks very similar in appearance to beef brisket rice I’ve seen in some Chinese restaurants. Looks so good! Can I do this with chicken? The pork roast is it raw or cooked? of course it’s cooked, it’s cooked with slow cooker. I think she means is it put in the crock pot raw. Because you say cooked pork in the recipe. Because I was wondering the same thing. Yes was wondering the same thing. Whether to put raw or roasted pork in the slow cooker. Hi, is it possible to replace the chili with something suitable for children? Or should I just omit it altogether? Would that be ok? Thanks for sharing! I cannot find Thai chili here in New Hampshire, so I plan to use your substitute of crushed red pepper. How much should I use? To taste, a few dashes. Hi, can I cook the pork using low heat for 6 hours? In this way, I can leave the pot overnight at low heat and I can have tasty food in the morning. Thanks for replying I’m cooking tonight and hopefully my wife and my son will love it!! It won’t dry out, pork is pretty fatty. As that fat renders it makes the dish very moist. Think of frying bacon, you don’t add liquid yet it won’t end up dry unless you overcook it. Thank you! Am making the teriyake pulled pork for tonight. Can i put it to low for 8 hours instead? I put 50ml of water extra on top of all the ingredients stated in your recipe.The result is the roast pork taste a little sour & the gravy totally dried up with the texture of the pork is hard. Is it the effect from the water? I put 50ml of water extra on top of all the ingredients stated in your recipe.The result is the is the pork taste sour & the gravy totally dried up with the texture of the pork is hard. Is it because water that affect the end result? I am not sure why but it’s not the extra water. Hi. First Time comment here. Really like your recipes. Tried and few and love it all. 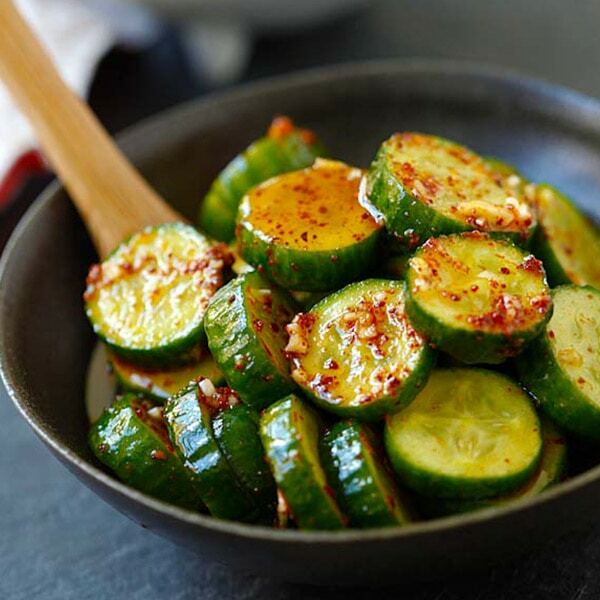 Just want to know for this recipe can I cook in instant pot. And how long ? Yes I think you can. I think you can use Manual – High Pressure – 30 minutes. I don’t know about in the USA, but here in Australia Maggi seasoning is full of MSG. Gives great umami but I prefer to avoid. I’d probably use an organic tamari instead. Yes you can use tamari.